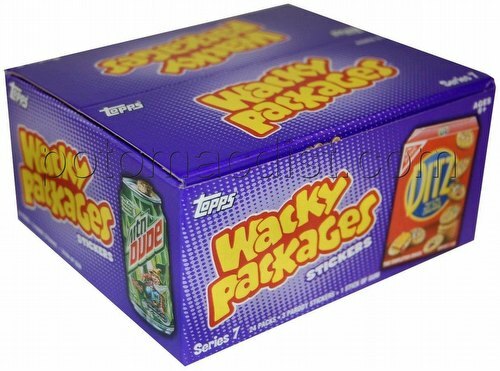 Each $19 box contains 24 packs. 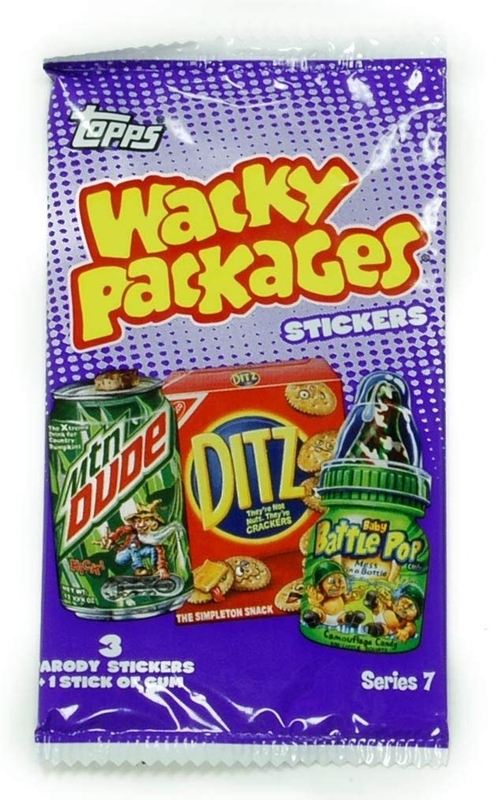 Each pack contains 3 cards. 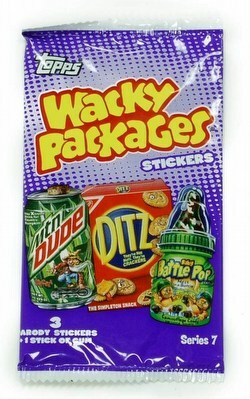 The Wacky Packages Series 7 base set includes 75 all-new stickers.